I love Animal Crossing, and have devoted way to much time the game than I like to admit. So when I found out about a game just for the best part, the decorating?! Let’s just say it was a little over the top. I typically try to avoid too much hype. I don’t like pre-researching or reading about my games and books before they come out but I have spent all of this past week before release doing exactly that and it’s got me so pumped. I’ve pre-ordered (which I try not to do with games though Nintendo is always great about it) my New 3Ds Bundle. I was a bit disappointed on realizing that the bundle is for the new standard DS as opposed to the XL. I’ve been lusting after an XL since I got it for my husband but after watching a few reviews I’m settled on the bundle. The pros are that it’s still a bit bigger than my current 3Ds (the Fire Emblem special edition), a lot nicer (again it’s the FE edition, it’s old) and it has customized plates you can switch in and out. Not to mention it’ll be much more portable for me, I tend to carry the thing everywhere when I’m playing something. 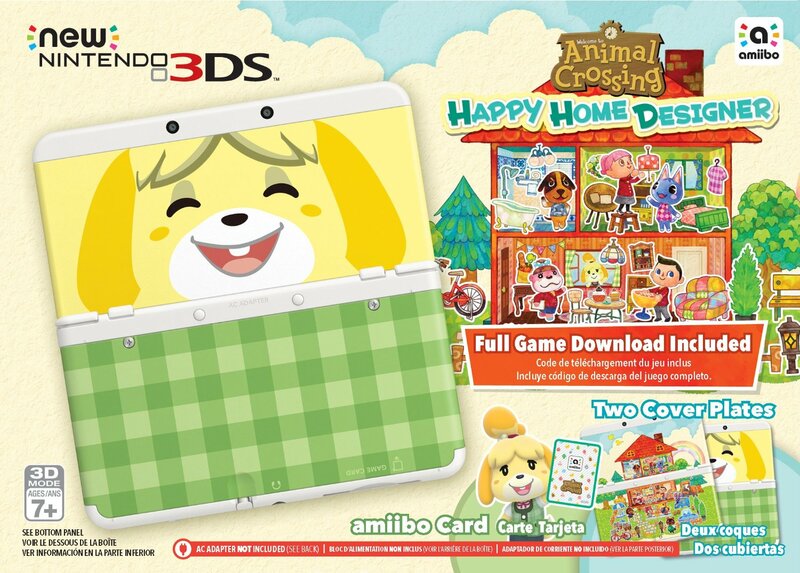 I have also pre-ordered Amiibo cards off Amazon and Wal-Mart. Reading up on the cards they sold out at launch in Japan, the pre-orders for both places are still up, if you’re interested. The cards aren’t necessary for the game but they do augment and add special characters which adds furniture and costumes. Suffice to say: I’m ready. 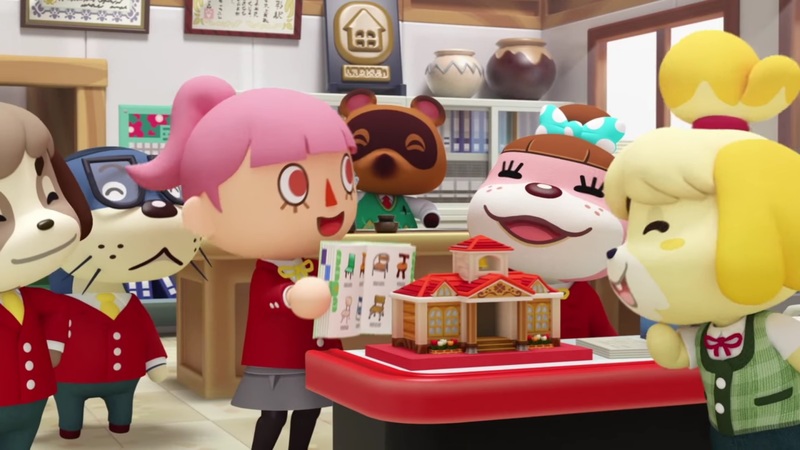 The idea of the game, for those not familiar is that you are the newest designer working under Tom Nook (because who else would it be) in New Town. You take clients who want new homes with an idea or theme and create just that. You get to customize everything from the location, season, outside decorations, outside facade, interior size, and of course interior decorations. There are literally hundreds of characters to customize homes from and you can redo homes once completed. Each client brings their own unique furniture and clothing to the equation as well. 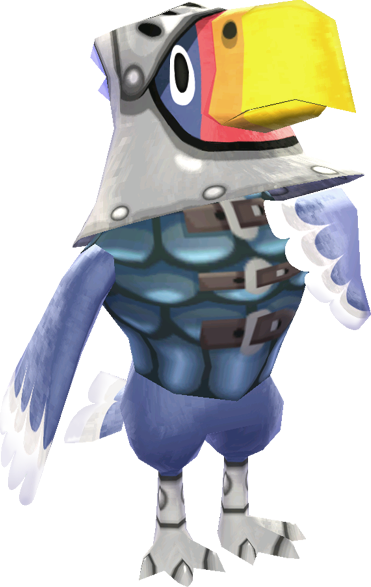 You can also, while out and about can customize what your townsfolk are wearing. You unlock clothing, hair, and facial accessories in the same way you do furniture (from what I gather). In other words it’s a customizing addict’s dream. The Amiibo cards, as I mentioned aren’t necessary to the game but add more characters, allowing you to invite to the town anyone you want as long as you have the card. Once you decorate that character’s home, you can still go back to that house even if the character isn’t wandering around. Reports stay you can scan your card again and that character’s house, saved as you made it, will be available to visit and redecorate. I’ve been reading reviews, watching Twitch streams of the Japanese version and researching which characters will have what I want. (I need Clay for Monster Mansion themed Halloween items, and I want Prince so I can make him a Sweeney Todd style barbershop). The game looks simple and enjoyable, and exactly what I need to help destress and unwind. Is anyone else getting HHD? If so throw your codes in the comments!